I have a 38 sedan that had no inner front fenders when I got it. I have acquired the inner fenders, but I'm not sure how they are attached. Can anyone steer me in the right direction? The inner fenders are attached to the outer ones with rivets. The rivets have a very shallow head, looking from the inside of the engine bay. Thanks, Town Sedan. The inner fenders appear to rest on the top of the frame, correct? How are they attached there? I've looked online for pics, but can't find any. I just realized I haven't answered you yet, my apologies. So the inner fenders do sit on or nearly on the frame. They are also bolted to the nose cone or dog house, and to the lower cowl at the rear. 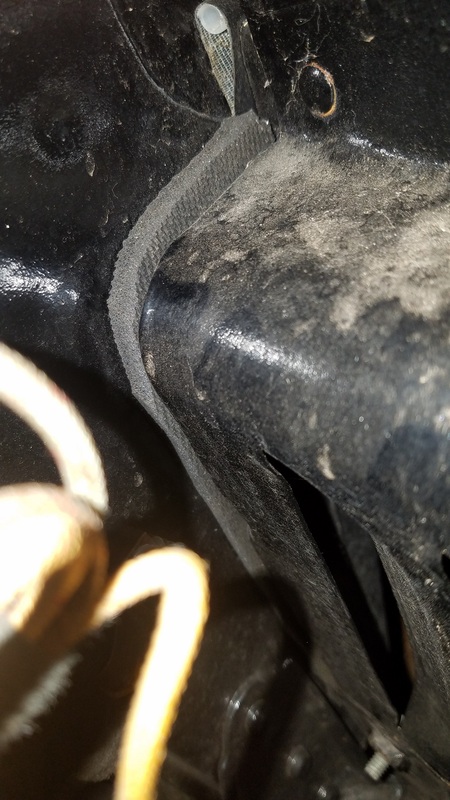 Sorry about the image size, this site is limited on photo functions, but on the right side is the splash guard and it mounts under the steering box and to the inner fender panel. 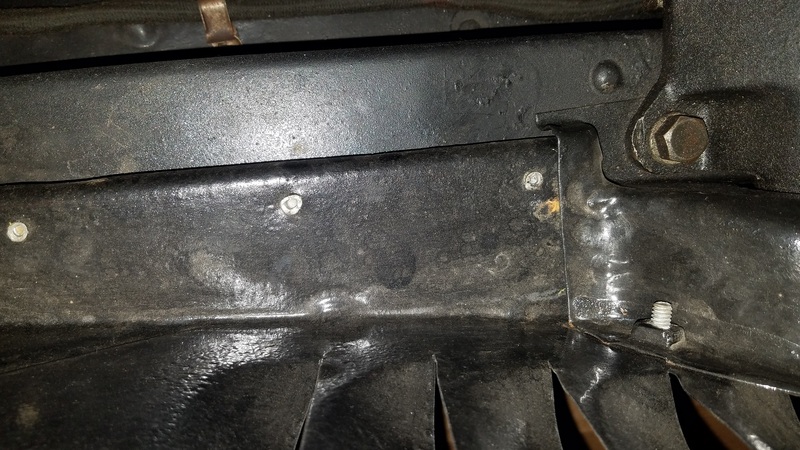 Originally there was some sort of textile/rubber gasket riveted to the section of the inner fender panel that is just above the frame, I riveted some 1/4" neoprene there. Also, on the part where the fender hits the cowl face there was another textile/rubber gasket. In this photo up is to the left and it shows the gasket between the cowl face and fender. Thanks to you both. Looks like I'll attach inner to outer on top and then see how much gap I have at the frame. I reckon some rubber riveted to the bottom of the inner and elsewhere as needed will do the trick. I appreciate your help with this.